Imagine a broker driving an 83-year-old widow with Alzheimer's to local banks so that she can withdraw over $1 million from CDs. NASAA has launched a committee to focus on issues related to elder financial abuse and diminished capacity. Imagine a broker driving an 83-year-old widow with Alzheimer’s to local banks so that she can withdraw over $1 million from CDs. The broker then invests her money in annuities that will deny her penalty-free access for at least a decade, while generating more than $63,000 in commissions for himself. Stories like this make me furious. This one riled the Massachusetts Securities Division into bringing suit against the broker, according to a November ThinkAdvisor.com article. It’s one of the reasons the North American Securities Administrators Association launched a Committee on Senior Issues and Diminished Capacity last November. How will this affect advisors’ responsibility to protect their elder clients? To learn more, I contacted Lynne Egan, deputy securities administrator of Montana, who heads NASAA’s new committee, and Wisconsin Securities Administrator Patricia Struck, the committee’s vice chair. Egan and Struck replied to my specific questions by email. Their joint answers are edited here for space. Olivia Mellan: What has your committee been working on since it was formed last August? Egan & Struck: We have formed three working groups to tackle the myriad issues involving seniors and diminished capacity. The Model Legislation Working Group is drafting proposed legislation to address issues faced by firms when there are senior or diminished-capacity issues. The Best Practices Working Group is working closely with SIFMA, FSI, ICI and other industry groups to identify best practices for broker-dealer and investment advisor firms to detect and prevent the exploitation of seniors and individuals with diminished capacity. Last, the Outreach Working Group is working with states, provinces, organizations and others to share the recommendations of the Best Practices and Model Legislation Working Groups. These three groups will make recommendations, and the committee will take them under advisement. OM: Will the recommendations differ by industry group? E&S: A primary goal of ours is to develop a uniform approach regarding the issues facing seniors and individuals with diminished capacity. To that end, the committee receives input from and works closely with a 16-member advisory council that includes members in the industry and enforcement, regulators, consumer groups, legal professionals, service organizations and medical professionals. So our recommendations will likely not differ much by industry group. They will focus primarily on best practices, possible legislation and outreach to anyone who has contact with older persons. 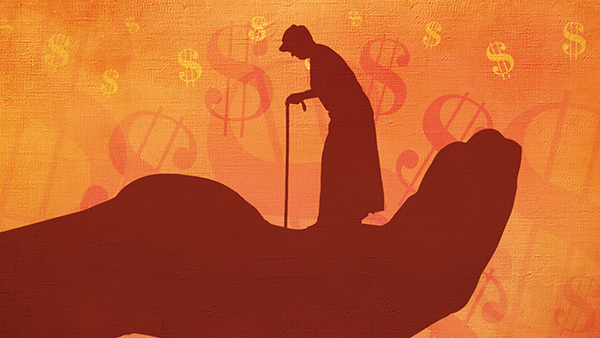 OM: Is NASAA partnering with other organizations to prevent elder fraud and abuse? E&S: Yes, we are. Among our partners are the ABA Commission on Law & Aging, the SEC, the CFPB, the Gerontological Society of America, AARP, the Alzheimer’s Disease Center at the University of Alabama, the National Association of Prosecutor Coordinators, AICPA, the FINRA Foundation, NAIC, IAA, SIFMA, Harvard University, FSI, the National Adult Protective Services Association and Wells Fargo Advisors. OM: Are states changing their advisor exams to make sure there are safeguards in place to protect the elderly? E&S: The examination module used by states to examine investment advisors and broker-dealer firms will include a section to identify whether firms have adequate policies and procedures to prevent and detect elder exploitation. The Best Practices Working Group will be working closely with the NASAA examinations project group to ensure that examiners look closely to ensure broker-dealer and investment advisor firms have adopted best practices to protect their older clients. OM: Does NASAA have the resources to regulate more advisors to protect elders from abuse? E&S: NASAA does not regulate advisors. The states and provinces that are NASAA members do an exceptional job of regulating advisors who fall within their jurisdiction. They’re constantly exploring ways to ensure that financial professionals transacting business with elders are compliant with state, federal and provincial law. OM: Should every older person consider running important financial decisions by an advisor or trusted friend or relative? E&S: Everyone, not just older people, should seek advice and input with regard to financial decisions. Older people, however, should consider having someone not only to help with their investment decisions, but to also keep an eye on their account for suspicious activity, a sudden change in investing strategy, or erratic and unusual withdrawal patterns. One thing to consider is that a majority of elder exploitation cases involve a family member. Therefore, when a family member is selected as the trusted advisor, it is critical to have safeguards in place to ensure that this family member is not exploiting the older person. OM: If an older person is solicited to spend on or invest in something unfamiliar, what should they do? E&S: An older person should always contact their state or provincial securities regulator to make sure the person offering the investment, their firm and the product being offered are authorized in that jurisdiction. Additionally, the older person should ask for and receive information on the investment opportunity and solicit input from an objective advisor, relative or friend. If they have any trepidation or concern about the investment product, they should not invest in it. In most cases, if someone is solicited to invest in something they are not familiar with or if there is urgency in the solicitation, they should just say “no” to the investment.